BULLCHEF is a small restaurant in the heart of Pasig City. They offer a lot of varieties of food that is associated with beef. Bulalo is their specialty. The first time we have eaten here was truly unforgettable. I ordered "Bullusok", it is a sizzling beef with gravy on it plus veggies as a side dish, and it really tastes good. They gave us free soup. 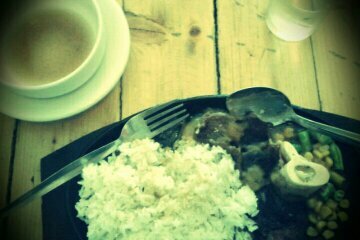 It was a bulalo soup; it is like a teaser for their specialty. I also enjoyed the small bone marrow included in our sizzling. Oh hypertension! Hahaha (eating too much bone marrow will surely listed you as a candidate for hypertension awardee, so control.) The funny thing was the way they served the bulalo, once the order has arrived the waitress/waiter will blow a whistle. Then, people on the staff area will clap and shout, “BULLCHEF”. I was shocked but it’s cool. Something extraordinary.Try it! Sorry for the photos, not so HD. hihihi I used my phone..
the wall. 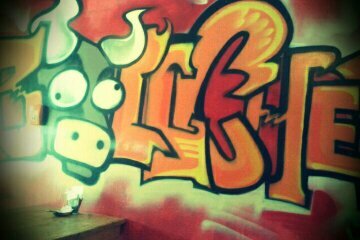 THE BULLCHEF WALL.